A vacuum cleaner is a daily tool that is intimately intertwined with our daily lives, the PowerStick Pro is made for any situation. 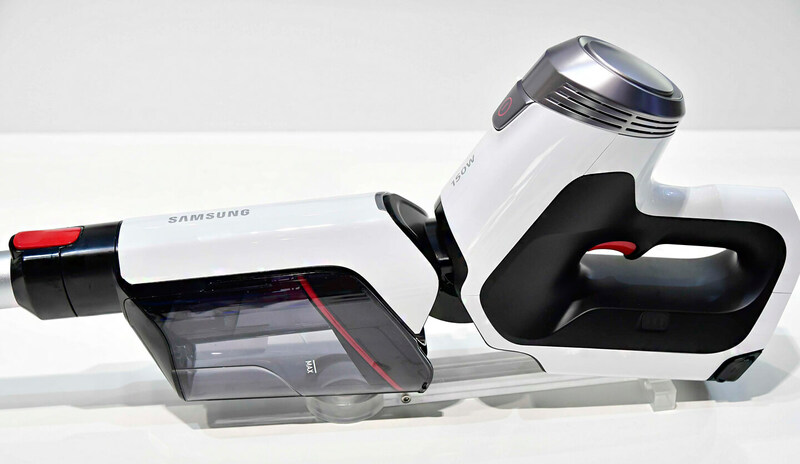 Samsung released a new vacuum cleaner. The PowerStick Pro is a cordless vacuum cleaner with a new design and a great grip. Its versatile but also powerful, thanks to the Dual Action brush. The Samsung PowerStick Pro cordless vacuum provides expanded experiences in both cleaning time and everyday use, redefining the overarching concept of what it means to be a vacuum cleaner. Innovations such as the ergonomic handle and ‘Dual Action Brush’ add comfort and convenience to cleaning, while the PowerStick Pro’s refined red-and-aluminum aesthetic seamlessly integrates with a wide range of interiors. Let’s take a closer look at how Samsung optimized the vacuum’s design to redefine a complete cleaning solution. Certain movements that you make while cleaning, such as bending forward or twisting your wrist, can cause aches and fatigue. The PowerStick Pro’s Flex Handle was designed to alleviate these issues, removing the need for users to twist and bend to clean in tight spaces by making the vacuum itself flexible. 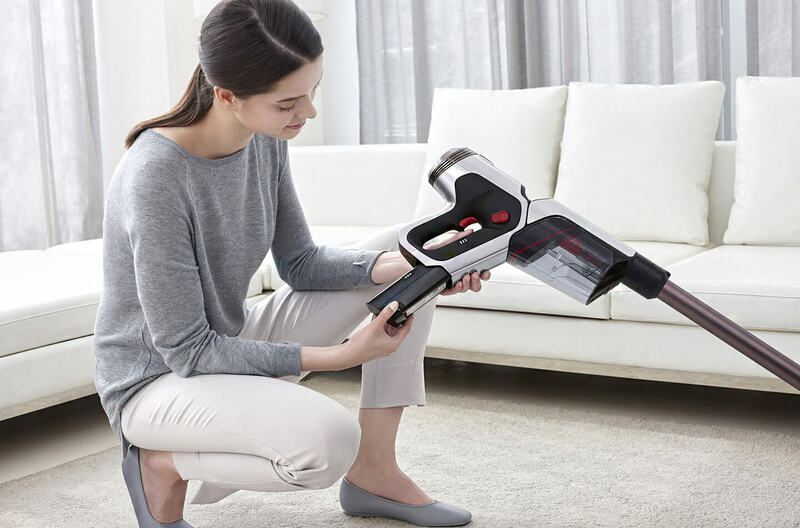 The Flex Handle folds of the up to 50 degrees at the touch of a button, which makes maneuvering the vacuum effortless and allows users to maintain proper posture when cleaning their home. When holding the vacuum cleaner, users will find that the curvature of the handle ensures a natural and snug grip, and its weight distributes evenly – adding ease to use, and providing optimal stability. The suction control button is placed directly under the index finger position, and the left side of the handle has a Flex Unlock button so users can comfortably control the product with just one hand. The vacuum’s complementing accessories, including the pipe attachment, have also been designed with stability in mind. Because the pipe is capable of standing on its own when detached, users do not need to bend down when swapping accessories. 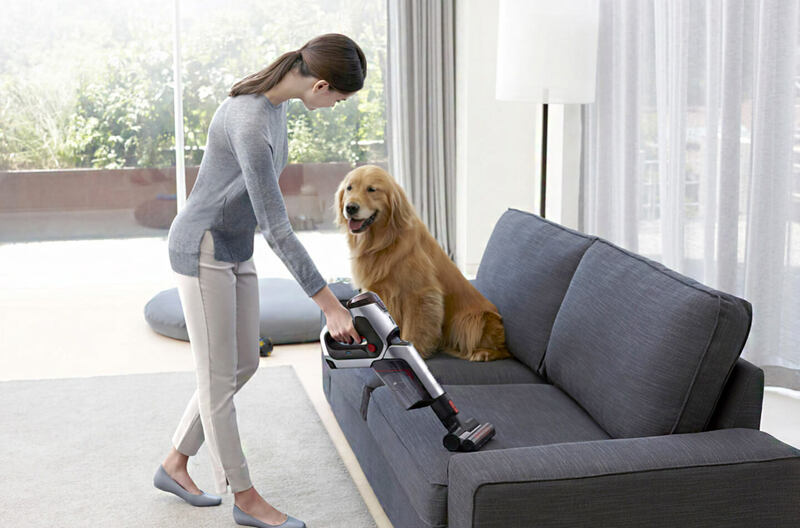 A common issue with conventional vacuums is that, because their brushes only rotate forward, when the user pulls their vacuum toward them, the brush’s backward motion results in dirt being flicked away. The Samsung PowerStick Pro features two brushes that rotate in opposite directions – eliminating this problem, and enhancing the vacuum’s performance at the same time. Battery life is crucial for wireless vacuum cleaners. Samsung PowerStick Pro is equipped with a 32.4V large capacity battery that boasts 150W suction performance for a maximum duration of 80 minutes (With two batteries operating in Normal Mode). Keeping the option of detaching and replacing exhausted batteries in mind, the product is designed so that the battery compartment is placed in the handle portion for users to enjoy the product’s powerful prowess without any restrictions to time. 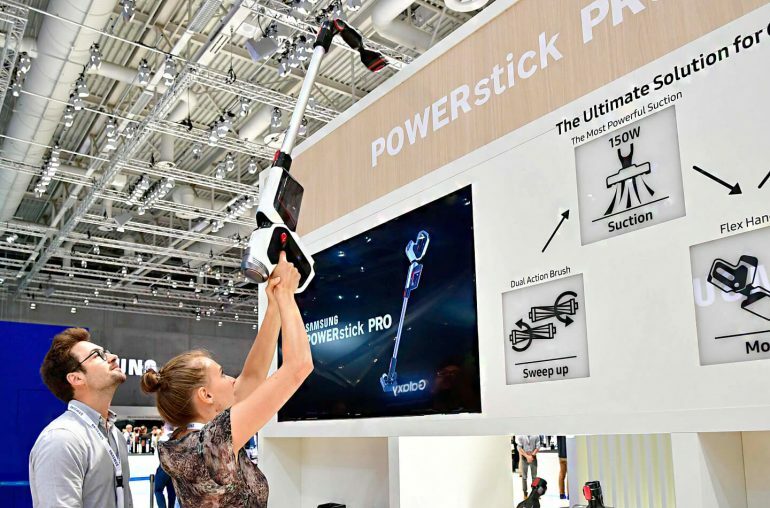 The PowerStick Pro vacuum cleaner is the product of Samsung’s extensive efforts to identify and design innovative solutions for common inconveniences that come with cleaning. By setting new standards in terms of design, power and ease of use, Samsung Home Appliance division hopes that the act of cleaning will transform from a burdensome labor to an enjoyable experience that brings fresh vigor and comfort to your spaces.